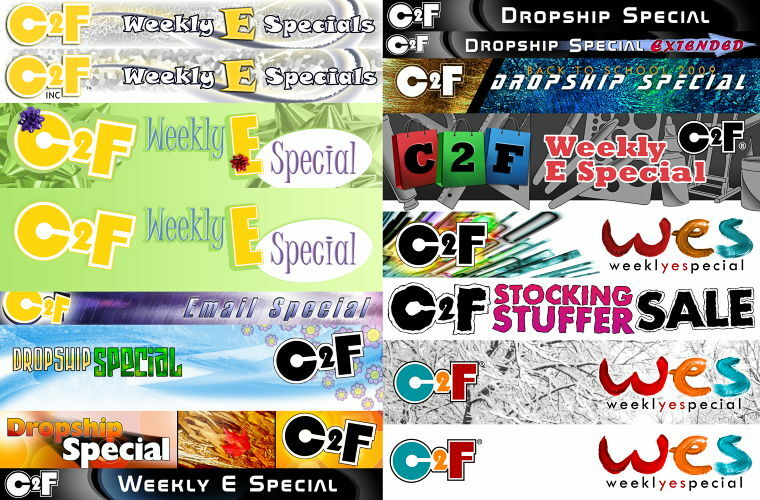 One of my many responsibilities while working at C2F was to send a weekly email campaign to customers. Each week there was a product or group of products on sale or a company announcement. Graphical themes were created to match the email content. Over the years I created many header graphics for these emails that typically cycled every few months.